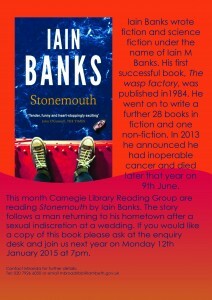 This month the Carnegie Library Reading Group is reading Stonemouth by Iain Banks. The story follows a man returning to his home town after a sexual indiscretion at a wedding. 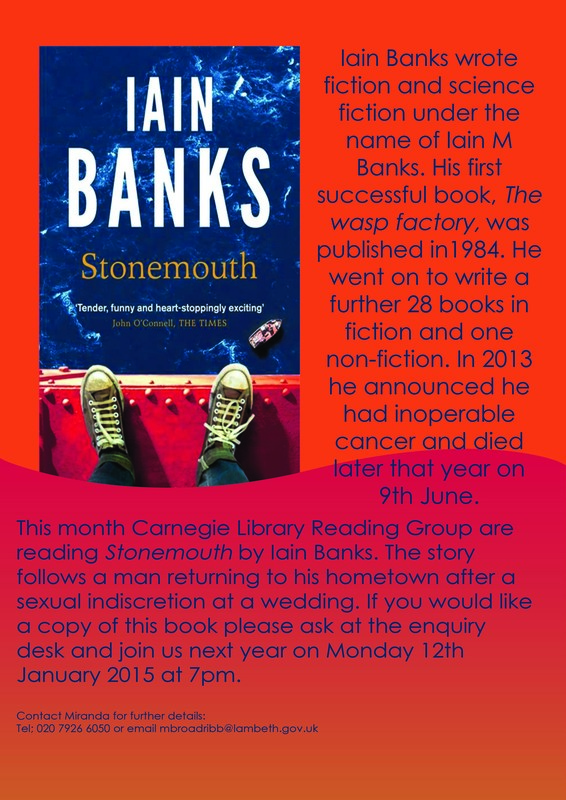 If you would a copy of this book please ask at the enquiry desk and join us on Monday 12th January at 7pm.